Penguins of Madagasca Will Delight Your Grandkids! Penguins of Madagascar Will Delight Your G-Kids! By Ranny Levy – Founder/president of KidsFirst! The movie Penguins of Madagascar is hilarious! It is the funniest movie I have seen in a long time. This animated movie, in 3D as well as 2D, is about three penguins that grow up together, find another penguin that hatches from an egg and they all become best friends. They go on all their adventures together as a team. The youngest one, Private, tries his best to become an important part of the team. An evil villain named David captures them for revenge. He’s jealous because he used to be the main attraction in zoos until the penguins come along and stole his glory! The penguins are rescued by a new elite team called the North Wind who claim they are the best at rescuing helpless animals. There are so many funny scenes in this movie that it’s hard to pick a favorite. I love when Kawalski’s (Chris Miller) status report says that they are in Ireland when they really are in Shanghai. Another funny moment is when Classified (Benedict Comberbach) tries to explain his teams’ purpose and Skipper (Tom McGrath) keeps interrupting him by chomping on Cheesy Dibbles every time he speaks. Also, when the villain reveals himself, expecting the penguins to be shocked, they don’t even know who he is. I can go on and on with funny moments but really, you have to watch the movie to see what else will tickle your funny bone. Here’s a super cute animated film that you can feel comfortable taking your younger kids to. The story follows a super spy team – the hilarious, covert birds of the global espionage biz – Skipper, Kowalski, Rico and Private. These elitists of the elite join forces with a chic undercover organization, The North Wind. Led by handsome and husky Agent Classified, they set out to stop the villainous Dr. Octavius Brine, from destroying the world as we know it. KIDS FIRST! Critics Haley P. comments, “The movie Penguins of Madagascar is hilarious! It is the funniest movie I have seen in a long time.” Brianna B. adds, “Besides the message of revenge not being good, I also like the message that everyone is a valuable member of a team.” And, Samantha A. had this to say, “You may have already seen the penguins in DreamWorks original movie Madagascar but now you are seeing them in their own movie comedy.” See their full reviews below. My favorite character is Private (Christopher Knights) because he is cute and he finds his purpose in the end which makes him an important part of the team. The other characters are equally fantastic. The writers have created a wonderful comedy script and I think this movie will keep you laughing. The moral of the story is that your appearance on the outside shouldn’t matter, it’s who you are on the inside that counts, baby! This movie is a good fit for ages 8 through 18. Boys, girls and even adults will enjoy this movie because it has a lot of “adult” humor. My parents laughed more than us kids! I rate this movie a five out of five “dazzling” stars! The Penguins of Madagascar is in theaters now so, go check it out. This is Haley Powell reporting for KIDS FIRST! Thanks for tuning in, bye bye!! This animation is hilarious and has great cinematography. Seeing this film in 3D definitely adds to the excitement of the story line. Skipper, (Tom McGrath, Voice) and his gang are up against, Dave (John Malkovich, Voice) who is an octopus that has his sights set on revenge. He believes the penguins have stolen his publicity and fame by being so cute. He plans to make Skipper and every other penguin pay for it being tossed out of every zoo. Dave plans to turn the penguins into monsters and release them in the streets of New York. This film has great comedy with funny remarks. It’s funny from the very beginning. I like it when famous actors are referred to in the script. For example, Nicholas Cage is mentioned when talking to one of the octopi. It has great animation and the 3D aspect makes the characters seem as if they are coming right at you and you are a part of the action. This animated story travels to France, Hong Kong, Ireland and other places. The authenticity of the locations looks very believable. The voice actors have natural comedy to them. I like how sometimes the sound track plays but the characters don’t hear it. It is unheard by everyone except the audience. My favorite character is Eva, (Annet Mahendru, Voice) who is an Owl. She controls her emotions and is the complete opposite of the penguins. She carries herself well and brings another personality to the film. My favorite scene is at the very beginning when the baby penguins chases the egg. It’s funny to watch the egg going everywhere as it takes the Penguins to unknown territory. Besides the message of revenge not being good, I also like the message that everyone is a valuable member of a team. It doesn’t matter how smart or how small the part is, everyone matters. I recommended this film for ages 7 to 15. Both girls and boys will enjoy and love it. I give it 5 out of 5 stars. The comedy is great and it comes with a meaningful message. The Penguins of Madagascar is in theaters now, so please check it out. 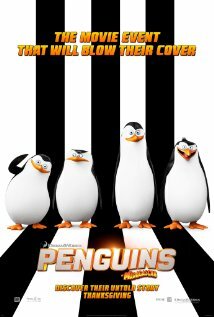 You may have already seen the penguins in DreamWorks original movie Madagascar but now you are seeing them in their own movie comedy. You may not think it, but this movie does have a few very good messages. For example, don’t let anyone underestimate you and your true power and also, always speak up and be heard. This movie is action packed. Sometimes I wasn’t sure if it was a good or a bad thing because it feels like it jumps from place to place. Sometimes that is good because, once the action REALLY gets going, it feels just right how everything goes so fast. One of the reasons I like this movie is because, even though it is action packed and funny, it also had sad parts. I like that because even though the penguins are supposed to be adventurous and strong, it is nice seeing their more sympathetic side. Something I like (and always have liked) about the penguins is that they all have simple personality traits that define who they are. For example, Kowalski has his big brain. They are each so different but together they are a very cool team. 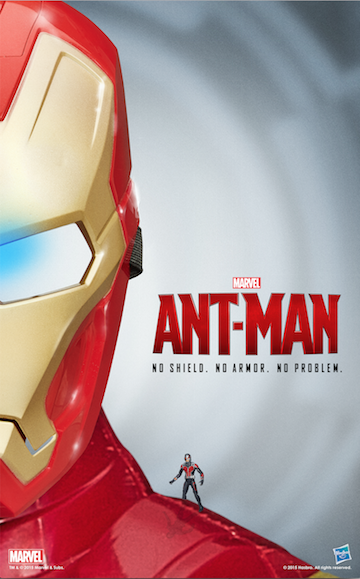 I commend the directors of this movie, Simon J. Smith and Eric Darnell, for a great job. Other than things moving a bit too fast, everything else is simply great. I give this movie 4 out of 5 stars because it is a great film and I recommend it for 6 to 13 year olds because it is funny and most little kids will understand the topic but there are some jokes that kids might not understand. This movie is great and I loved it and so will you! Are You Ready For That Fun Road Trip?